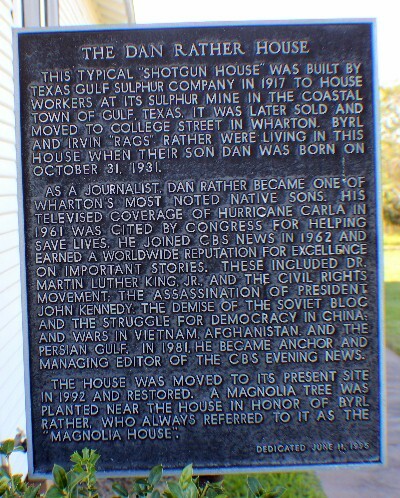 The Dan Rather House "Magnolia House"
next to the Wharton County Museum,  in 1992 and restored. Byrl Rather, who always referred to it as the "Magnolia House". The house was dedicated June 11, 1995.
by phone at 979-532-2600. whartoncountyhistoricalmuseum.com. Richmond Road was in 1990.